Queer Eye Star Antoni Porowski on Fab Five's Instant Chemistry: "We Felt Something Special"
Antoni Porowski says there was a "weird electricity" when the Fab Five were first put in a room together. The food expert on Netflix's Queer Eye reboot dished to E! News about his co-stars at the City Harvest 35th Anniversary event on Tuesday in New York City. "We really get along," he shared with us. "There was this weird electricity that happened when they sort of threw us into this room during chemistry testing, where David Collins, the show creator, was running around in the back, sort of like really excited. We felt something special, we were weirdly finishing each other's sentences. We're all different, but we still manage to get along really well." And Antoni admitted that it's pretty fun for the cast to troll each other on social media. "It's such a fun platform to troll on each other's accounts, to support each other, bring each other up, down and then pick each other back up again," Antoni said. "So it's fun because we don't get to see each other a lot in between working." 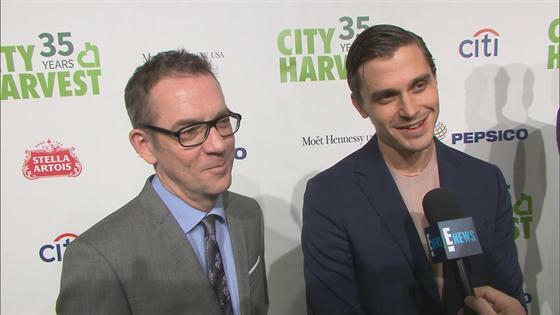 Antoni was joined on the red carpet at Tuesday's event by Ted Allen, who starred on the original Queer Eye show on Bravo. During the interview, the duo dished on which male celeb they think needs a season two makeover, and Antoni revealed what he hopes to accomplish in the upcoming season! Take a look at the video above to get the scoop!